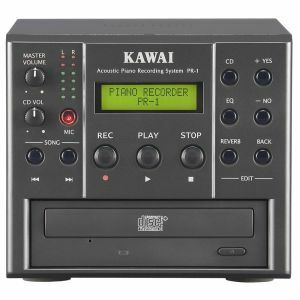 You've never seen anything like the Kawai PR-1... a complete system that allows you to mic and record any acoustic piano, or connect to any external sound system! Special microphones are the secret to the PR-1. These unique mics attach to any grand or upright piano and then connect directly to the PR-1 control module. With the built-in CD recorder you can make CD recordings directly from your acoustic piano.